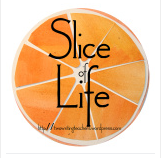 Today is the final day of the Slice of Life Challenge, hosted by the inspirational writers of Two Writing Teachers. Throughout March, we have committed to writing every single day. It's a powerful learning experience. Given that today is the last day of March, it is also the last day of the 2016 Slice of Life Challenge. As in past years, I find myself reflecting and trying to make connections that make be a better developer of curriculum, instructional coach, writer, and overall learner. As in other years, I'm struck by the power of our writing community and all of our shared commitment to doing something hard. Within busy lives, writing every day is challenging, and it's even more challenging because our writing is shared and public. Our bedside journals afford us the luxury of cross-outs, misspelling, and those not-quite-right words. On the other hand our blogs and daily slices require more attention to details. And so many of us have done it. (By the way, I give credit to the Challenge-takers who have missed a day or two. Your commitment still counts! In some ways you get a louder shout-out because it's so easy to fall of the writing wagon and just stay off.) To the entire community, the hosts and all the bloggers--even ones I didn't make it to--thank you. The combined energy keeps us all going! 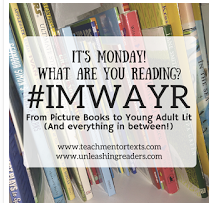 This year, I had a couple important take-aways which impact the work I do with young writers. First, it's really important to read, celebrate, and study writing of various levels and genres. Some of my daily reads were so consistently wise and brilliantly constructed that I found myself doubting my own writing, and consequently, I started to freeze. My writing felt inadequate. As I wrote in an earlier post, I could work my way out of the slump and the negative feelings, but I wonder how young writers feel when the work that is held up for them to see is consistently better than what they feel they can produce. I think I try to share writing of all levels, but I now have an even greater belief in the importance of this practice. Another important take-away for me is that sometimes we have to give permission to take our foot off the gas. During the course of the 31 days, there were times when writing within the same general genre of educational reflections was hard. I had committed to staying true to the educational purpose of the blog I share. In one of my posts, I compared writing to horseback riding, thinking about how sometimes horses respond to just having the reins let go so they can run and and buck and jump. Sometimes, I think that writers need this, too. Sometimes we need a day off from the hard work of serious writing so that we can just free-write, blurb, or rant--a writer's version of frolicking in a paddock. As an instructional coach, I may do more suggesting of genre-day-offs within units. I'll be interested to watch for re-energizing and revitalization that comes from dropping the writing reins for just an occasional day here and there. There are too many people for me to thank everyone and feel like I've remembered all of you who have impacted me as a writer and as a person this month. If you think you might be on my shout-out list, then you are. This community is like no other with such passion and purpose for learning. I will see you on Tuesdays, and again for the #SOL17. Happy slicing, learning, and remaining a community of writers! My husband really likes socks. He tends to buy a lot of them. He's not quite so good about throwing them out, though. His sock drawer used to get harder and harder to close until I instituted a new rule a couple of years ago. If you but a new pair of socks, you have to throw out an old pair. That rule helped a lot of issues. It got rid of socks with holes, it lessened impulsive purchases, and it made the sock drawer easier to close. Cleared out the writing folders. Students need to feel like they have a new beginning in a new unit. Having space will help them grow as writers. Cleared off the bulletin boards. Classrooms that use the writing workshop model should be growing and creating charts throughout the unit. When the unit is over and a new one is beginning, it's time to send that message to students. Make room for the new charts to grow. Set up the structures that will support writers in the new unit. 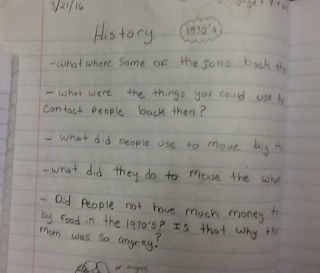 We are moving into opinion writing. Just as they used checklists for narrative and information writing, they will now use checklists for opinion writing, but they need those presented to them. Celebrating those new checklists will help these young writers shift to a new genre. Envisioned a couple of anchor and process charts that we will co-create with students over the next few weeks. Laminated charts from last year won't teach the students nearly as well as charts that look less perfect but are designed and developed in front of them. Just as we need space for new socks, we need space for new learning. I'm looking forward to watching these places fill in with great opinion-related work! Nicholas Kristof wrote a stunning editorial in today's New York Times about the role the media played in the rise of a politician. I'm still processing some of what he wrote, but one of the striking elements for me is the aspect of money. Kristof quoted one of my all-time favorite reporters, Ann Curry in his analysis of how ratings mattered to reporters. It occurs to me that we don't do much to teach students to ask about who is making money. Who stands to gain financially from this story? I'm not even sure I have ever done a good enough job myself of being aware of it. Reporting is a business, and social media has made it harder and harder to make a living as a responsible reporter of the news. We all have to make a living. Even if we are teaching about perspectives and whose stories are left out, I'm not sure we are teaching about who the reporters relate to, even without realizing it. I have some serious thinking to do about this. I'm not crazy enough to think that the tale of Trump is one I'd ever use in our elementary curriculum, but Nicolas Kristof does make me continue to think about what educators have to teach students so that we are all responsible consumers of the vast amounts of information so readily available to us. 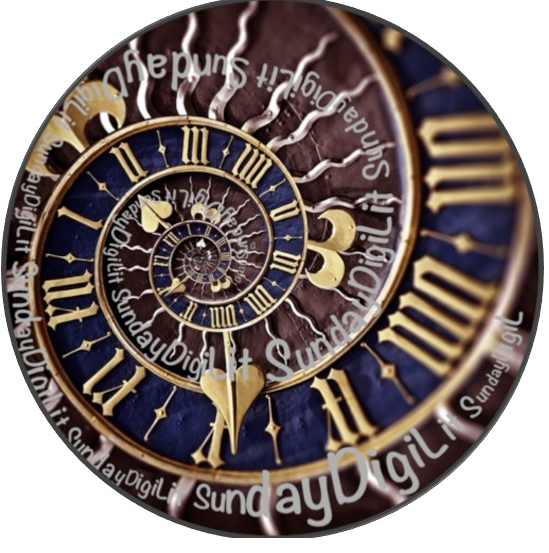 I'm also linking to Margaret Simon's DigLit Sunday this morning, as my Easter egg hunt will have a digital element this year. We'll see how that goes! My mother made the suggestion that we not have our annual Easter egg hunt this year. It's the one where My daughters and my nephews race around the yard trying to find the most plastic eggs. I've had my years of Easter Egg Differentiation--one year, each child had a specific color they looked for to try to minimize the tears and the fighting. During other years, specific colors were for older kids while the other colors were deemed younger kid eggs. This year, the youngest is ten, so we really don't need any handicaps. All colors can be fair game for everyone. "Not have the Easter egg hunt?" I feigned a gasp. "The kids love it. It's part of Easter." I didn't remind her how close I am to some of the kids being 21. When my brothers and I came home from college for Easter, my father hid a case of ponies around the back yard. I can't wait to reinstate that tradition! The truth is that we don't have many traditions that always happen around holidays. The Easter egg hunt is one of the few, so no, I am not giving it up, even without the ponies in the not-so-distant future. I understand where my mother is coming from. In past years, there have been tears over who hasn't gotten as many eggs. Inevitably, the dogs will find an egg in a few weeks and struggle to eat the jelly beans. And yep, there's the problem of mud and gardens. This afternoon, there will be mud on shoes. Some of the mud may even get tracked into the house. I will follow the searchers around and I will repeat, "There are no eggs in the gardens," but there still may be a crunched crocus. I'm thinking about how to differentiate for my mother the gardener and nature lover. What if I incorporate technology? What if each child has a "Noticing Component" of their Easter egg hunt, and has to show us pictures of specified late March beauty--a purple blossom, a daffodil that's not yet bloomed, a Hellebore (yes, they'll probably have to ask), a freshly clipped rose branch, an abandoned bird's nest, and others. Maybe if they have to notice, they'll start to appreciate. Differentiation exists even out of the classroom! Today, I've been having a hard time deciding on what to write for a post. Truth be told, I've been doing a lot of writing, but it's been for other projects. My brain feels tapped. 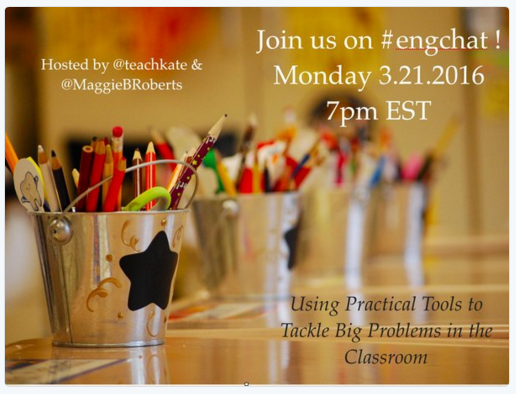 As I took a thinking bread and folded some laundry, I remembered (okay, not a total thinking break) some of the points made during the #engchat with Kate Roberts and Maggie Beattie Roberts. I loved this line on Monday night. I was definitely one of the favoriters. I also love it today because I am giving myself permission to post a little less. Chill a little. Nope, I can't work full throttle all the time. Thanks, Kate. Yesterday, I presented questioning strategies to a group of elementary teachers at a social studies conference. Throughout the hour long session, I had teachers do the work that I would normally have students do. When I taught them about the Question Formulation Technique, I had them do the work. I even gave them the link to my presentation and made a new slide where they could type in their questions, having the questions show up on the screen in front of everyone. When I taught them about "Ask five questions, then ask five more" I had them try it out, and when I shared a read aloud, I divided the teachers into question-asking groups the way I would for students. What I did do differently was to hit pause and ask them to take a reading on how they were feeling as learners. What was their engagement level? What was difficult? How were they feeling as learners? Three of my colleagues were in the session, and when we were having lunch one of them shared that those pauses had been really powerful for her. It turned into a great conversation about why it's so important for teachers to do the work we ask our students to do, really thinking about the metacognition required of the task. None of need a presenter to try out the work we ask of our students; we just need the time and the self-awareness--maybe it's self-discipline, maybe it's self-reminders, maybe I need a better word :)-- to pause and think about the metacognitive processes. The most effective teachers I work with are the ones who not only understand the task, but also have experienced and reflected on the brainwork involved with it. Today, I spent the day at a conference about the Connecticut Social Studies Frameworks. I not only presented, but I also got to attend some amazing presentation from other educators in our state. Laura Krenicki teaches sixth grade social studies in Colchester, but she also does an amazing job at curating resources. Check out her resources at Live Binder. While many of her resources are specific to Connecticut, there are some that could be used or adapted for any state in many different units. One of the resources she shared was one I was familiar with already, but I know we underuse National Geographic’s Interactive Mapmaker. Through this free (yes, FREE) tool, users can explore all different types of maps anywhere in the world. With just navigation and clicks, you can see topography, population density, rainfall, types of animal life, economic status, resources...You can zoom in and out, you can compare to other places. Really, the learning is endless and addictive within this resource. 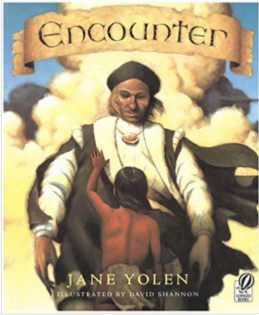 Another resource is at the site Mystic has created for educators. I knew Mystic had great resources, but in the last year, they have made a concerted effort to create teaching units from the documents and exhibits they have, enlisting teachers to write inquiry-oriented lessons that inspire students to engage in primary documents, technology, artifacts, and authentic world issues. Even though the history is geared toward Connecticut, so much of it could be used within more global topics and units--there’s phenomenal information about the whaling industry--check out the way the voyages of the different ships can be traced here. If you really want to dig into primary resources, check out the logbooks. 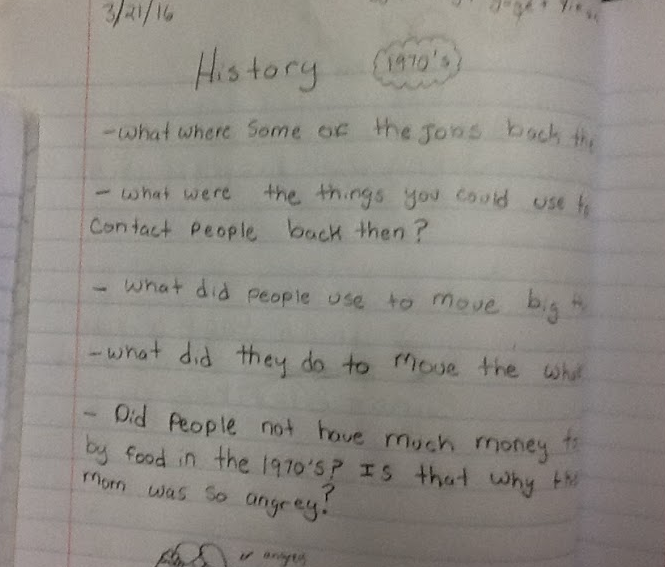 Imagine the inquiry work that could grow around whales as an endangered animal. The various stories that they have traced to other places in the world could also support studies of world geography, as these stories extend far beyond Connecticut. We live in world that is so full of information, and it’s a major challenge to sift through it all. These are resources are all definitely worth time exploring! Last night was not my finest hour of parenting. I have one daughter who especially knows, finds, and pushes my buttons as a mother and as a person. I work hard to balance what I control and what I influence with her. I try to stay within the realm of influence, but sometimes it's hard. Last night she was pushing, and in the land of controlling and influencing, I ventured far into control territory. It was after nine when we got home from her concert. In between a meeting, tennis practice, and a workout session, she dashed in, took a shower, raided my closet for a white shirt, grabbed a plate of food, and headed to the high school. From downstairs, I heard her yell at my younger daughter to help her with her hair. I could go on, but I'll summarize: It got ugly when she got home because I brought up her lack of kindness with her family. "You're crazy," she said. "I have homework, and you always do this. You never focus on anything I do right." It went on. I went from calm to mad, but a quieter mad than usual. However, a mad that walked out of her room with her cell phone and her computer. "Fine Mom," she called. "I just won't do my homework." She did do her homework on the family computer, and I did try to go back and fix things, but she wouldn't do any sort of reflection. I'll never force my girls to apologize, but I do expect them to be able to process a situation. Not happening. At least not last night. Her cell phone still sits beside me as I write this post. Recently, I had a conversation with one of our principals about leadership and the balance of control and influence. I don't think there's a balance, actually. It's all about influence, or it's not leading. But sometimes, when we are stressed, when we are unsure of ourselves, when the task on hand is hard, we revert to practices we might not like, the ones that are more about control than about influence--like taking a daughter's phone or telling a colleague to just do something, or taking away recess or free time. These practices might work at that moment in time, but in the long run, probably not so much. Last week, I wrote about nudging students to ask more questions by putting them in charge of asking the questions during a read aloud. Students were grouped and different groups were responsible for questions that had to do with characters, settings, figurative language, repetition, and theme development. 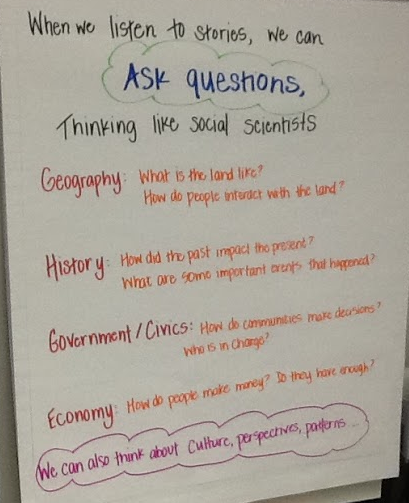 I've been doing a lot of work around social studies, so today I tried a similar process, but instead of directing students toward reading lenses, I had them think about the text through social studies lenses. I made a chart before I read The Stranded Whale by Jane Yolen so that this class of fourth-graders were reminded of what we meant by geography, history, government, and economy. Some of the students wanted to write reflections of the experience for me. I can't wait to see what they have to say. Sometimes students overwhelm and exceed even my highest expectations. Yesterday morning, my mom and I drove the 70 miles west to Katonah, the small town outside New York City where she grew up. My grandmother lived in the same house for 62 years. Sixty two years. Last week, a builder has made an offer on the house that my mom and her siblings have accepted. We had to finish clearing out the house in order to close in 30 days, and the builder will renovate the house, then sell it again. "We have to do one final clear out," my mother said. "I don't know when we're going to get there." "Let's just go this morning," I said to my mom. We've gone through Nana's things now several times. 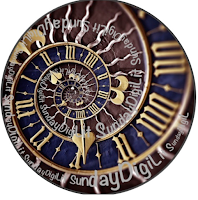 We went through a layer when she succumbed to full-time live-in help, another layer when she couldn't remember the day of the week, another layer when she passed---People took what they wanted, we made trip after trip to the local Goodwill store, we made piles to be hauled away. In 62 years, anyone accumulates a lot. Yesterday, there wasn't much left. With a roll of masking tape and a wide blue sharpie, I marked items to be taken to the rummage sale or to be brought by movers to our Connecticut home. I scribbled labels while my mom talked on the phone with her sister who lives far away. They couldn't decide on the andirons, and there was a painting Jill remembered that we couldn't find. "If they're causing that much debate, we'll just take them," I said, writing "to 139" on a piece of masking tape. I touched the not-yet-dry ink as I attached the tape, and it left a blue blotch on my thumb. Is it possible to be prepared but to still be surprised? To be ready but caught off guard. When my mom looked at me and said, "I hope you go through my things with more emotion," I was wordless. She was teary and raw, but I felt attacked and defensive. I wanted to comfort her, but I also wanted to explain that emotion takes time. It wasn't that I didn't have emotion or sentiment about the work we were doing; it just needed to get done, and I was missing Julia's birthday. I had shopping to do, a party to set up, some schoolwork to finish. Pausing to acknowledge the finality of the work would get in the way of efficiency. "We've gone through her things, though, Mom," I said. "Could you just appreciate that I'm here and we're getting this done?" She crumpled. "I never say the right thing with you." I paused. Emotion won out over efficiency. "You do, Mom," I said, and I out my arms around her. "And there are some really important reflections to talk about on the ride home." We hit rewind, finished the job, and I went out to the garden before we left to say goodbye to the house that had been her home for her entire childhood. In hindsight, I wish we had sat down in the garden and I'd listened to a story or two. Isn't hindsight always 20/20? But maybe this reflection will be close and fresh enough for me to do a better job the next time efficiency challenges emotion whether it's with my mom, my husband, my daughters, my colleagues, a student---anyone, really. Margaret Simon wrote recently how writing is like praying. It's Sunday morning, and I'm not a churchgoer, but here is my prayer. I have learned so much about myself as a writer from reading everyone's pieces and from thinking about how it feels as a process, and I had another reflection yesterday as I participated in a classroom mid-unit celebration. As is frequently the case, there were some memorable children in the mix. Stronger writers were much more eager to share than less confident ones, and a couple students were compliantly and respectfully quiet. Here's my personal connection: I read amazing post every day. I know they are supposed to inspire me. Sometimes they do. Sometimes they help me think of ideas, and sometimes they spark an interest in a craft technique, and sometimes they teach me something about student learning or the world. But sometimes they don't do any of these good things. Sometimes they sprinkle, drizzle, rain, or even pour on my inferiority complex as a writer. I have read posts where my response heads more in the direction of "Oh man. I'm nowhere close. I hope she doesn't read my post" or even worse--"okay, there's no way I'm even writing today. Close up the screen!" I grew up riding horses, and at my barn we all had opportunities to ride each other's horses.There were definitely horses that were harder to rife than others. Mandy was skittish, and she would jump if a door opened. You had to always be ready to hold on because at any moment, she could jump and dump an unsuspecting rider. Champ needed spurs and a crop. You had to work really hard to keep him going, and if there was anything green around, he was going to do his best to stop and eat it. Then there was Elliot. He was awesome. Just a little heel and he was in a perfect gait. We all looked and felt like great riders on him! I get to work in many classrooms in the district from kindergarten up through sixth grade, and sometimes I compare them to some of the horses at our barn. There are classrooms that jitter. If anyone walks in, if anyone rustles a paper, if anyone sharpens a pencil, everyone looks up, seizing the opportunity to take a break from work. There are also classrooms that remind me more of Champ where the teacher and I work hard to get people going. Those rooms are full of chronic bathroom visitors, reminiscent of Champ grabbing a snack whenever he could. And then there are the classrooms that remind me of Elliot. I was in one today. When I walked in, they were all busy wiping green dots of paint off all the furniture because of the leprechauns who had visited and left a mess. They all had a serious and fun purpose to clean their room. However, when the teacher asked them to sit down and share their writing, they were quiet, respectful, and proud to have me hear their latest writing. A few students read their pieces while others listened and paid specific comments. In between students, their teacher asked me about conventions, and I told her about a lesson I had. "Let's do it," she said. I asked the class to join me at the rug and within thirty seconds, they were all right there with their notebooks and pencils, looking at me, ready to hear what I had to say. Just as Elliot made me feel like a great rider, this class made me feel like a great teacher. But, the truth is, someone (not me) worked really hard to train Elliot, and someone (not me) gets the credit for nurturing a class and fostering an environment where students can have a lot of fun but transition to serious learning just like that! High kudos to their teacher!